Disappointed to find a cruise on a classic Nile paddle steamer beyond her means, PortMoresby is given a second chance, if only briefly, to experience the dream. 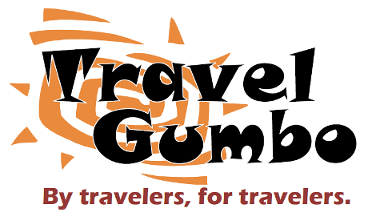 travelgumbo hit another home run today. This is a fantastic post!! Awesome photos and interesting narrative. Well done! That's about as thorough a write up of Death Valley as I've ever seen. It is a very desolate place and the temperature extremes are amazing. In one late winter day we went from snow to 115 F. The heat, especially in the summer, is dangerous. Don't visit in the summer. Visit it in the winter. The scenery is beautiful and it's definitely worth seeing. I came across this piece on Death Valley which, while not as interesting as Tom's blog, has some interesting facts. You can read it at this link ! Great photos and a great adventure! Merry Christmas, Gilles! In many things the old ways are sometimes better. When Europeans began (19th c.?) outfitting dahabiyas for leisurely Nile Cruises, they'd sink it first to clear out a variety of vermin. Too bad you didn't know that good old trick. I read about that one - def a Victorian lady ¿a thousand miles up the nile? The odd highly colourful phrase in today's usage too ! 😆😱 BTW 'our' boat was a bit big to do that I guess, took 18-20 plus 6 crew, a jolly punt, though !